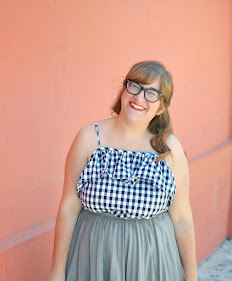 I'm posting over at Flock Together today, wearing Dus' purple skirt and talking about school spirit (or lack thereof). Head over there and check it out! I love the skirt. You have the cutest clothes. Cute cute cute! Love that color! you look lovely that dress! that's a good color for you! Loved this post on Flock Together. This color is perfect on you! Can I just say you look so good in this color of purple? Literally, phenomenal on you! Oh my dear Elana! How I've missed you in the short week that I haven't read your blog. This outfit is the best, duh. I LOVE this purple skirt! I guess we have Dus to thank for that, BUT I do have some wide stripes + a purple skirt that I can't wait to pair together, thanks to you! I know school is off to a busy start, but hope it's great!